With another Super Bowl in the rearview mirror, here’s a look at some former New Mexico High School standouts that made an appearance in the big game over the years. Hank Baskett, Clovis High School, Indianapolis Colts wide receiver/special teams: played in Super Bowl XLIV (44) against the New Orleans Saints. 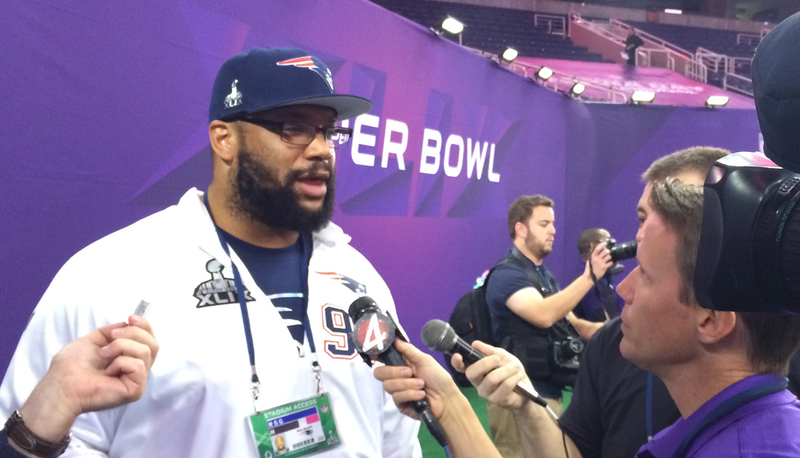 Alan Branch, Cibola High School, New England Patriots defensive lineman/Arizona Cardinals: won a pair of Super Bowl titles with the New England Patriots in Super Bowl XLIX (49) against Seattle and Super Bowl LI (51) against Atlanta. He was with the Cardinals for Super Bowl XLIII (43) when Arizona lost to Pittsburgh, but he was inactive at the time. Darius Holland, Mayfield High School, Green Bay Packers: played in Super Bowl XXXI (31) when the Packers beat New England and in Super Bowl XXXII (32) when Green Bay lost to Denver. Billy Jenkins, Albuquerque High School, St. Louis Rams defensive back: played in Super Bowl XXXIV (34) when the Rams beat Tennessee. Ralph Neely, Farmington High School, Dallas Cowboys offensive lineman: played in Super Bowl XII (12) when Dallas beat Denver. He also played in Super Bowl V (5) against Baltimore and X (10) against Pittsburgh. Paul Smith, Roswell High School, Denver Broncos defensive lineman: played in Super Bowl XII (12) against Neely when the Broncos lost to the Cowboys. Timmy Smith, Hobbs High School, Washington Redskins running back: racked up over 200 rushing yards in a win against Denver in Super Bowl XXII (22). Brian Urlacher, Lovington High School, Chicago Bears linebacker/Pro Football Hall of Famer: suited up against the Indianapolis Colts in Super Bowl XLI (41). 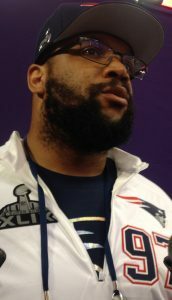 He also appeared in a Super Bowl LIII (53) commercial for NFL 100, a spot involving multiple NFL Hall of Famers.